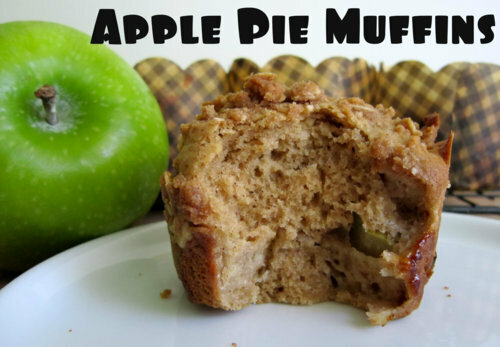 Apple Pie Muffins: Fall Foods! I love to bake!! Fall brings out my need to bake, there is something about the cooler weather that always makes me want comfort food. I especially like to cook with fall ingredients so I love to find anything I can bake with apples and pumpkin, like these apple pie muffins. Lucky for me we live near apple country so I have access to lovely fresh-picked apples right from the farm. We love taking the kids and enjoying a great day at the apple farm running around picking apples, laughing, and chatting with the kids. We have dinner at a restaurant in the town and we make it a slow-going enjoyable fall day. Be sure to go check out Damn Delicious’ recipe now. It is the best we have tried so far! Be sure to check out the other amazing recipes when you are there! This entry was posted in Food & Recipes and tagged apple baking, apple muffins, apple picking, Baking, Breakfast, fall baking, fall food, food, muffin recipes, muffins, recipes, Snacks on September 13, 2018 by Lacy.